After being heavily dissatisfied with the Gnome 3 interface and resource use, and the degredation of Nautilus file browser, I moved to XFCE a few years back. By default this spin is not very visually pleasing, and may easily scare people off. Change theme. Download «Zukitwo» xfwm4-theme, and icon set «faience». Edit 2016-07-03: this theme does not seem to be a part of Fedora repositories anymore. Though the theme is still maintained, and for several spins, and can be found here: https://github.com/lassekongo83/zuki-themes. The extracted themes can be put into local/share/themes. Then set theme from Settings > Appearance, and icons under Settings > Appearance > Icons («Faience Ocre» is used in the screenshots). 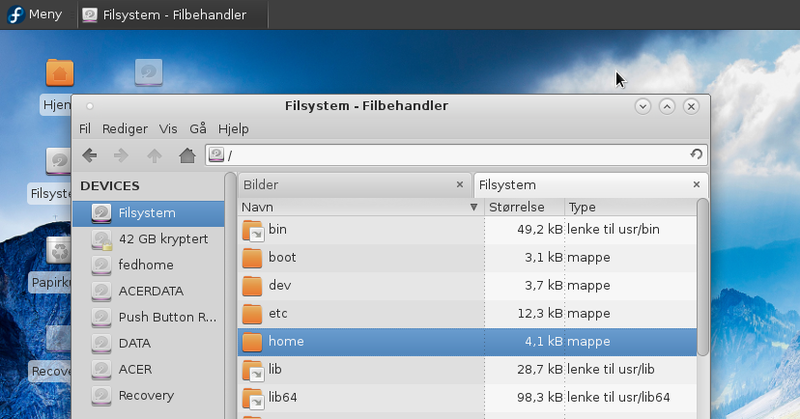 Change Window manager. This should also be set to «Zukitwo». 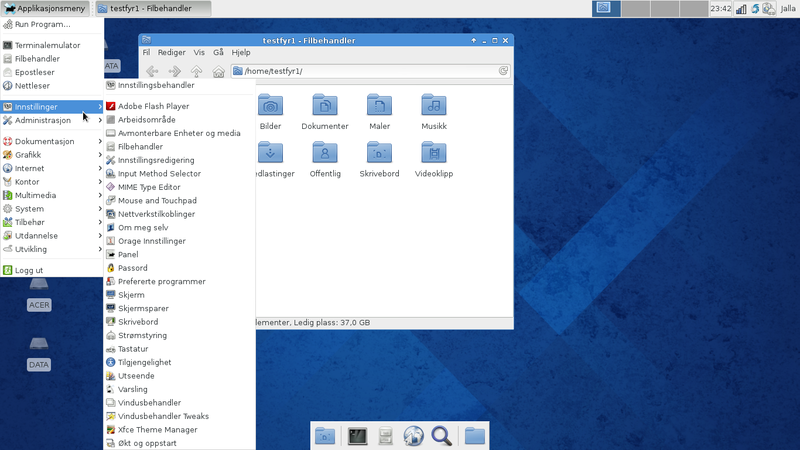 Open Settings > Window manager tweaks, and set Composite to «on». In Terminal, put the font size down one notch, set background to ‘transparent’, and choose a level you like. 0.82 is used in these screenshots.